When life hands you lemons you have a choice. You can, as they say, make lemonade, or, you can cut the lemons in half and squeeze the juice in life’s eyes! Personally I have a problem with any revenge based action. I usually freefall into despair for a while and then just before hitting rock bottom tend to step back, dry my eyes and make a plan to sort things out. I suppose that’s the delayed lemonade approach. I have friends, though, whom I would definitely put into the ‘juice in their eyes’ camp. Their mantra of “I’ll show ’em” works just as well in the short term. The real issue here is what is the ultimate outcome of the action. If you simply exact revenge with no positive outcome then obviously that is a missed opportunity. 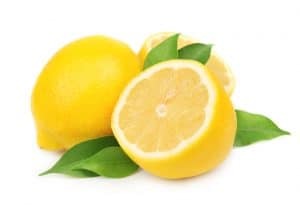 Lemon in the eyes is painful and hurting others is not the mature response. If your first response is to “show ’em” then do so by creating a brighter, bolder vision and making it real. Take the anger and channel it into a productive and positive energy. If you hate conflict and turn the anger inwards by comfort eating, having a little wine etc. then again how far are you prepared to fall before you start planning your way out? Hurting yourself is not the mature response either. How bright and bold will your new plan be? You have fallen down – do you want to get back simply to where you were before or take yourself out of the danger zone by making a bigger dream come true? What I am trying to say here is that every challenge is an opportunity in disguise. To throw another cliche into the mix “what doesn’t kill you makes you stronger”. So take that new strength and build. Sometimes life can hand you some very big lemons, and they can be a very bitter lesson, but what you do with that lesson is down to you. Seize life by the lemons and squeeze all the juice you can! You will find there’s more options available than just lemonade – be creative, think big – there’s always lemon tart, lemon curd or better still add tequila, a little salt and party! I have handed some pretty big lemons!! I am not one to seek revenge either! In fact it was after having been handed a lemon that I entered myself in the mumpreneur awards. The shortlisting in Best Salewoman category was fantastic. To win would be the icing on a very BIG lemon drizzle cake.